This is one of our most popular fall recipes. They are moist, flavorful, and loved by all members of the family. 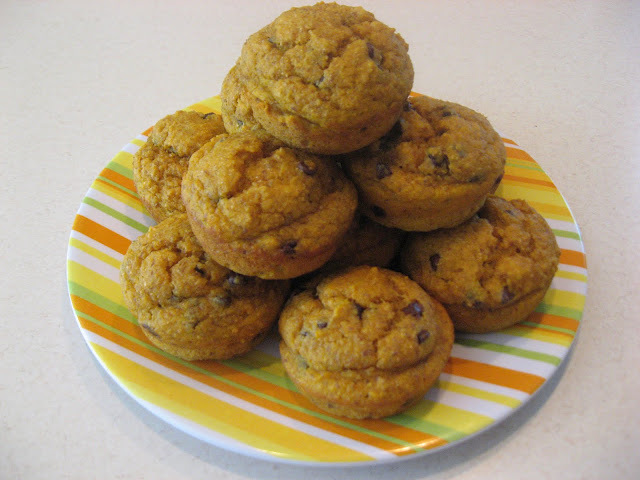 They also include loads of healthy ingredients and are easily freezable. I always make a double batch and pull them out for an afternoon snack. As with so many of our real food recipes, they have sneaky vegetables (i.e. 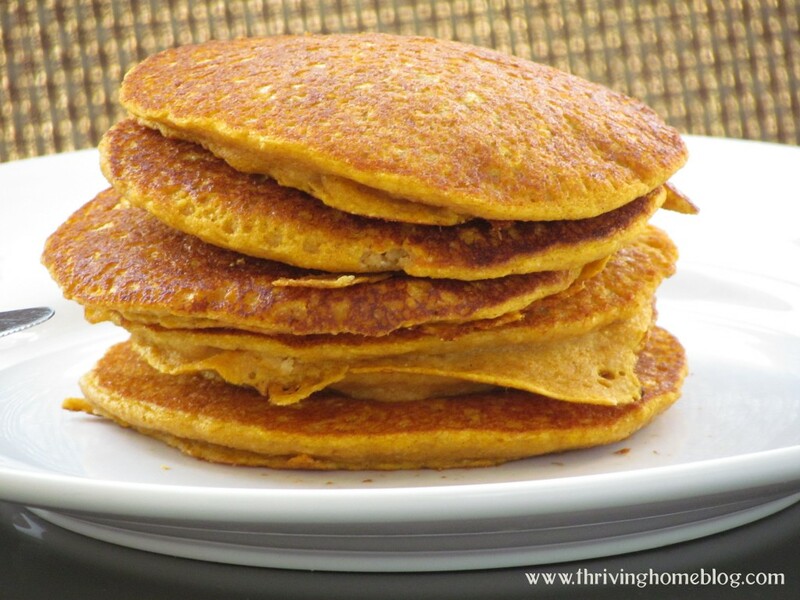 pumpkin this time) and 100% whole grain in them, but retain their light, fluffy texture. Plus, they’ve got a delicious “fall is here” flavor because of the pumpkin and cinnamon. 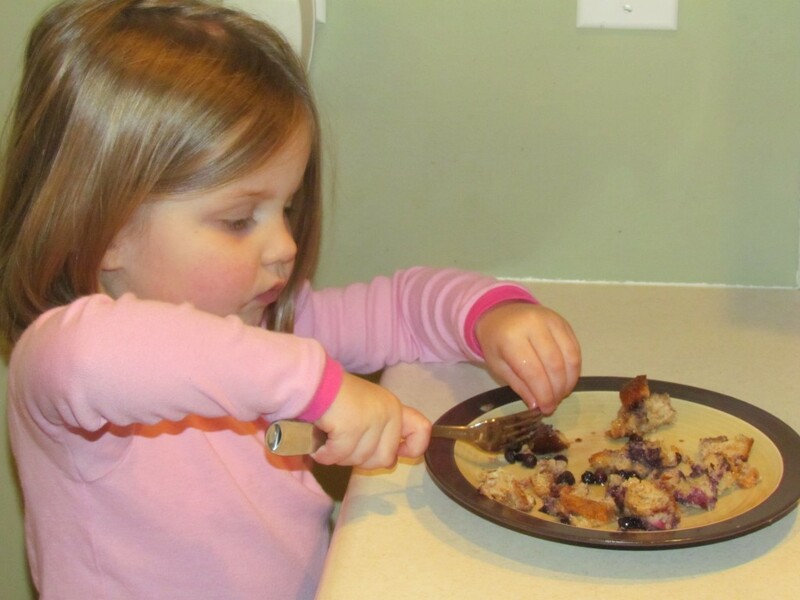 Blueberry Pumpkin Baked French Toast is a healthy breakfast recipe my kids and I go ga-ga over. The original recipe was too white carb and sugar-laden for me. So, I used whole wheat bread (just leftover heels and stale bread that I had stored in the freezer), added some pumpkin for extra nutrition, and cut back on the sugar amounts. It’s delicious and freezes well before baking. Here’s a healthy spin on a fall favorite. I tweaked this recipe from EveryDay with Rachael Ray magazine, opting out of the alcohol since it was for my kids. We loved it, plus it’s a great way to sneak in a vegetable. It tasted like a pumpkin muffin in a mug. For a few other pumpkin recipes or meal ideas that sneak healthy ingredients into your food in a delicious way, check out our recipe index. We love to share what we are learning and the creative ways we find to help our families eat a bit healthier. 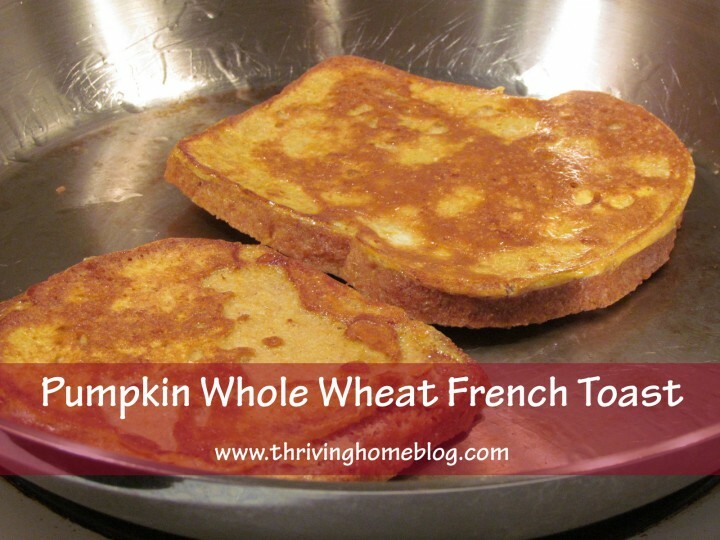 Pumpkin Whole Wheat French Toast is such a nutritious and hardy way to start your day. And, like most of our recipes, it’s super easy to whip up. Hope you can get your creative juices stirring in the kitchen! What yummy looking recipes! Thank you so much for sharing!